So, Pope Francis talked about the internet this week in the context of World Communications Day. Much of the coverage focused on the Pope’s assertion that the internet is a ‘Gift from God‘. I’m not going to argue that point; I have a hard time imagining a life without an always-on connection. What really caught my attention, though, was this little nugget near the end of the Message for World Communications Day 2014. This caught me because I’ve trained as a mediator and have a Master’s degree in Negotiation and Conflict Management. True story. 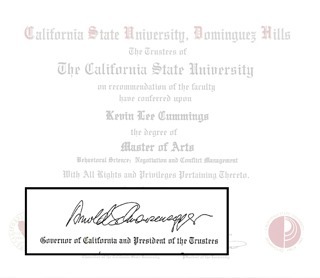 Also, fun fact: I earned the degree from Cal State Dominguez Hills which means it was signed by the President of the Board of Trustees who is also the Governor of California. Thus, my degree in Negotiation and Conflict Management was signed by the Terminator. One of the lessons that they pound into you over and over and over in conflict work is that the key to resolving conflict lies in getting people to listen to one another. I mean, really listen. Most of us think that we are good listeners and we’re all pretty much wrong on that point. Let me give you a little listening test. Check out these two quotes from Pope Francis. What do you think he meant? The ability to compromise is not a diplomatic politeness toward a partner but rather taking into account and respecting your partner’s legitimate interests. Boy that Pope Francis is pretty direct, isn’t he? And always consistently on message. You have to respect that. Those quotes weren’t from the Pope. They came from former KGB agent Vladimir Putin. Go ahead and read the quotes again. I’ll wait. Kinda puts a different spin on them, doesn’t it? 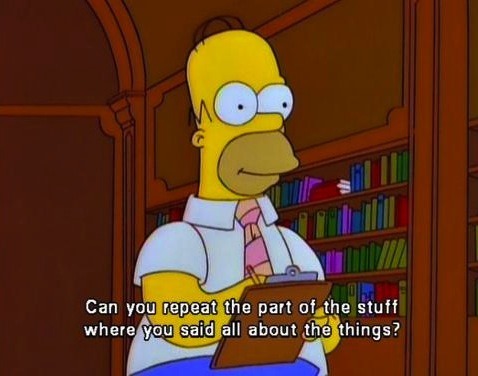 It also raises questions about your skills as a listener. When you thought the quotes came from Pope Francis, you probably felt warm and fuzzy. When you learned they came from Putin, you probably wondered what he really meant. I use this exercise when I lecture on conflict resolution. It helps to illustrate the truth that most of us are poor listeners. We aren’t really listening, we’re filtering what someone else says through our preconceptions and expectations. We’re picking apart what they say with the intent of proving our point by disproving theirs. Listening means sitting back, being open, and really hearing what the other party is saying. In western culture we tend to confuse the phrase “I hear what you are saying” with “I’m in complete agreement with you.” Hearing and understanding a point of view does not mean that you are persuaded by it. It does mean that you can begin the search for meaningful common ground for dialogue. Until dialogue beings, we are just shouting at one another over the chasm of misunderstanding. To dialogue means to believe that the “other” has something worthwhile to say, and to entertain his or her point of view and perspective. The goal of interfaith dialogue is not unity in faith and worship, but mutual understanding and respect, and mutual enrichment enabling us all to respond more fully to God’s call. It includes collaboration wherever possible in response to the societal problems we commonly face. For this reason, the purpose of theological dialogue will not be to prove that one side is right and the other is wrong, but rather to explore respective positions in order to understand them better. When this is done, many prejudices, built on half-truths, will fall by the wayside. Like all of the faithful, I long for the day when we are not divided. More to the point, I’m responsible to help bring that about. From my studies in conflict, the best way forward is to begin by listening to find the places where we can meet and begin our journey together. This entry was posted on January 26, 2014 by kevinleec in Reflections, Spirituality and tagged conflict resolution, mediation, paulist, Pope Francis.